Most of the prawns on sale in your supermarkets are imported from Vietnam. This country is in fact the world’s fifth largest exporter of prawns. Representing USD 5 billion, seafood and fish exports constitute a very significant financial resource, after rice. The activity also impacts on the management of the environment in the Mekong Delta where they are raised and on the quality of the food on our plates! 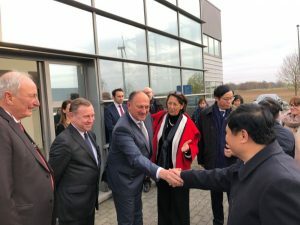 Philippe Thonart, a professor at Gembloux Agrobiotech (ULG) and founder of Artechno, an SME established in the Crealys® scientific park, knows the subject well. 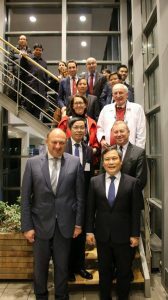 He has been working with Professor Duong Van Hop of the Institute of Microbiology and Biotechnology at the University of Hanoi (Vietnam) for many years to reduce the use of antibiotics and chemical substances in aquaculture. 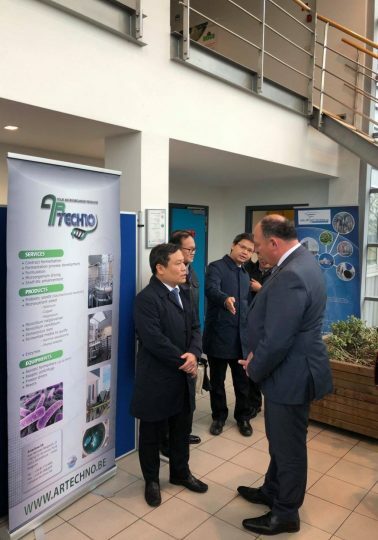 The company ARTECHNO was established in 1999 by Professor THONARD, head of the Walloon Centre of industrial biology in the University Faculties of Gembloux. It quickly set up in an incubator in the science part, before investing in its own infrastructures. Right from the start, the company’s activity focused on the production of probiotics, living micro-organisms (bacteria, yeasts, leavens, etc.) used by industry as ingredients to make their products. The company specialises in the production of ‘bacillus’, probiotics that are more resistant than ‘lactic’ or ‘bifidus’ bacteria. It aims to further develop its activities, grow and possibly open up to new markets. This is the context in which Artechno is supported by the BEP.